For those of you who know nothing about the company, I thought I would write a little piece about them! 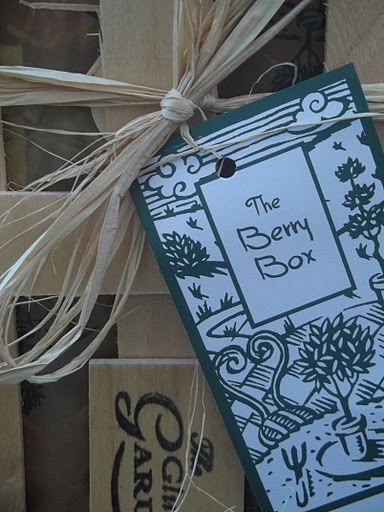 Their crates are beautifully packaged in wood wool with their logo and a gorgeous gift tag style label so you know what you have. 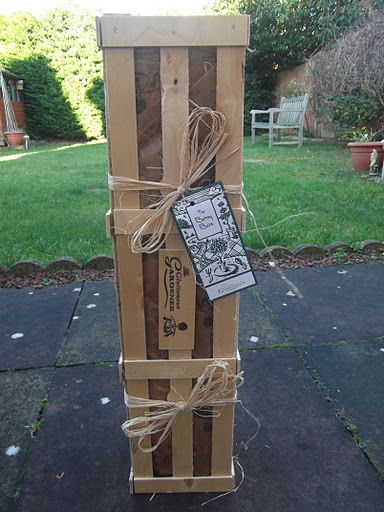 When you open the box you find a brown paper sheet carefully wrapped with a sticker, (a bit like a lingerie box) then you find each plant is carefully wrapped and packed in straw to keep them safe! They also all come with an information sheet for each of your plants which include planting instructions, care guidelines, harvesting information, and for some of them they even had recipe ideas! Best of all, everything is recyclable! I do love eco-friendly businesses! I’m also not sure what to do with the wood wool or wax paper yet – everything is so cute I don’t want to throw it away! In the mean time we’ll just have to admire the photos! 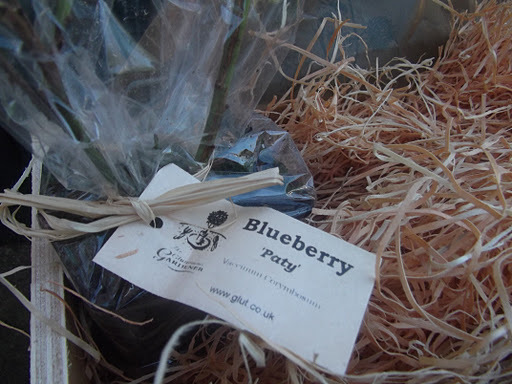 Well I’m off to go and plant my little bushes. 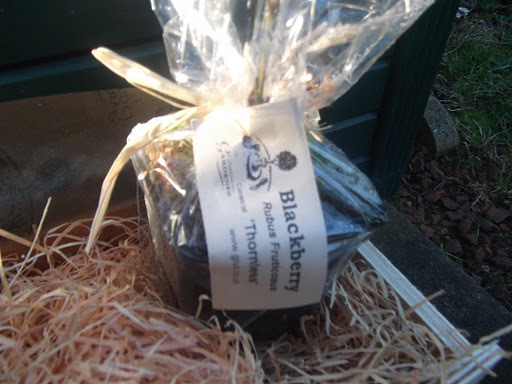 I’m sure in a year or so my blog will be full of blackberry/blueberry/tayberry recipes! They have all sorts from bushes to preserves! 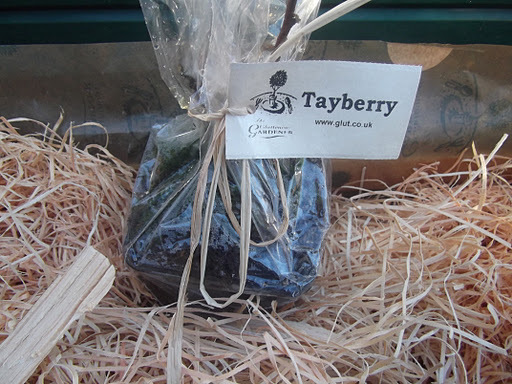 So if you haven’t ventured out into the garden for your food just yet, why not try the delicious foodie gifts others have prepared for you!